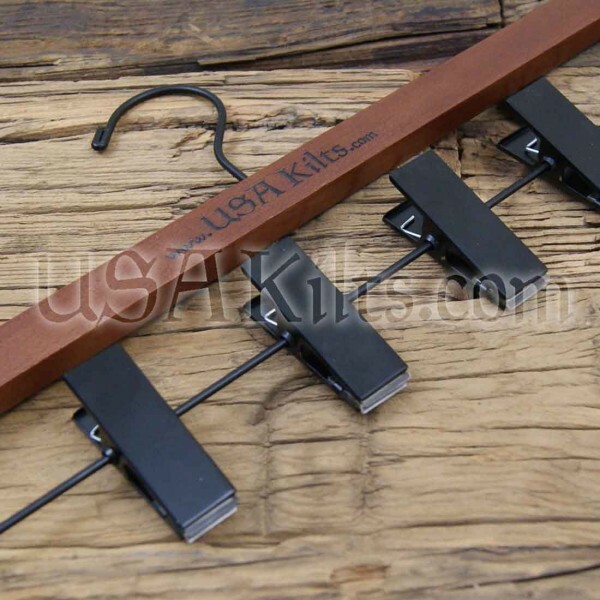 Buy our Kilt Hanger 3 Pack and Save $3.98! 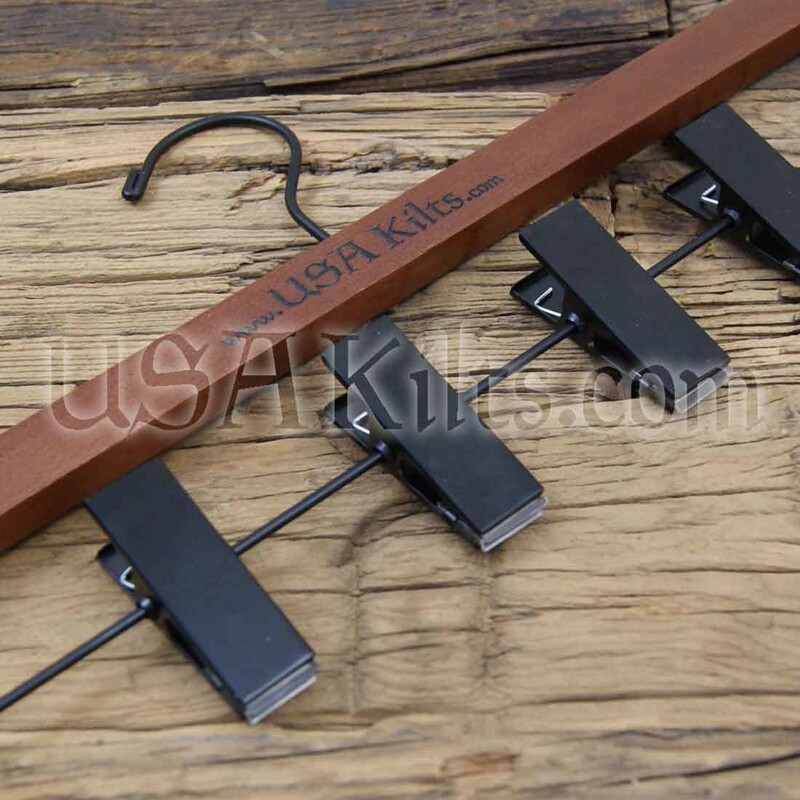 Our 4 clip kilt hangers are made exclusively for USA Kilts, with our company name laser etched into the wood. They are a cherry stained wood and are smoothly finished with a double coating of lacquer to prevent splintering. These hangers are 20" wide, so they will fit any standard closet with ease (more than 20" wide and your hanger will hit the back wall of the closet). The jaws and grips on this hanger were specifically developed using the best parts available, that would securely hold even the heaviest 16 oz, 8 Yard kilt. The springs used in the clip, combined with the 1.1" reach of each jaw, ensures a secure grip of your kilt. The non slip, soft, silicone rubber cushions hold your kilt securely while protecting it from stains and snags and ensures the kilt won't slip when hung. Our silicone grips do not have the small 'nubs / ridges' which can mar the surface of the kilt. These are the same professional grade hangers we use in our store. We guarantee this will be the strongest kilt hanger you will ever purchase or your money back.